Don't hesitate - book her ! I originally met Sadie at my cousin's wedding a few years ago and she has since photographed two weddings for our friends. I booked her without hesitation - her portfolio speaks for itself - she's a talented lady! Yet, what makes her special is that she puts you at ease and you just can't help but love her. She's professional, gives direction, and she blended in my day so well she felt like family. Thank you Sadie for capturing our love story. "Sadie is an absolute joy to work with. We loved how easy she is to talk to, her eye for detail, and her overall sense of focused calm. Our photos were absolutely gorgeous, with a warmth and joy to them that I've rarely seen in professional wedding photography. She really nailed our aesthetic, too, and most importantly made us feel comfortable on the day, which was quite a feat since neither of us are terribly fond of posing for pictures! All her communication with us was prompt and professional, and we were really impressed with how much care she took to make sure all of our needs were met. We'd highly recommend Sadie to anyone, for any reason." "I can't say enough good things about our experience with Sadie. Leading up to the event she was by far my most responsive and helpful vendor. She asked all of the right questions about things we hadn't even considered and gave advice on how we could make the photography aspect of our day run seamlessly. Everyone who interacted with her at our wedding had something good to say and she really knew how to handle all types of personalities and the inevitable touchy situations that weddings can bring out. At the end of everything her images were incredible. I am normally not one to enjoy having my picture taken, but I love every shot. Even with formal shots, she posed everyone perfectly while still keeping people comfortable and natural. She has a great eye and picked out some really unique shots that will be very special to us for the rest of our lives. We could not be happier." Can't put in words just how amazing Sadie was. Our engagement and wedding photos are amazing and she captured the true essence of our relationship. Sadie you are super hip and exactly what we were looking for in a photographer. You have a great eye for detail and thought outside the box for our locations (above the science centre). Thank you for making our day that much memorable and relaxing. Dès la première rencontre, nous avons tout de suite apprécié le côté très créatif et le service professionnel qu'offre l'Orangerie Photographie! Notre expérience fut rien de moins qu'exceptionnelle! C'est pourquoi nous recommandons sans hésitation! 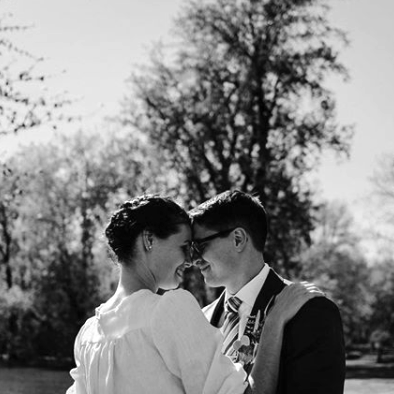 Nos photos de mariage sont exactement telles que nous nous les imaginions; c'est-à-dire, parfaites! 10/10!!! Since you only get to have your wedding one time, you only get one photographer to capture your most precious moments. No pressure!! But that is what working with Sadie is like, there’s no pressure. Sadie is extremely pleasant to work with. She listens, she directs, she has amazing ideas, she has style and she makes a difficult job seem easy. This all is not mentioning Sadie's skill for beautiful photography. We are extremely satisfied with our wedding pictures. Having set a high bar from her incredible work on our engagement photos, we could not believe Sadie exceeded our expectations for our wedding photography! Thank you so much Sadie for your beautiful work, we will cherish these for life. Sadie and her team at l'Orangerie Photographie are the whole package: Professional, talented, and lovely people! They set the bar so high for any other vendor we worked with! Thank you, l'Orangerie for capturing the true essence of our special day, and our love and every emotion the day of, exactly as we felt it! Your talent is unparalleled and your thoughtful details are what set you apart from the rest❤👌🏼. My fiancé and I were blown away with our engagement session and party pictures !! Not only is Sadie so ridiculously talented with her timeless photos but she is such a pleasure to work with, she made the whole experience easy and fun, while still being so professional ! Everyone at our party would not stop raving about how sweet she is ! We are so in love with our pictures! We cannot wait to use l'orangerie again! Sadie was an incredible photographer! She communicated with me via the medium that I preferred, she gave me great advice on how to prepare to have great photos, and then was truly a pleasure to have at our wedding, making us and our guests feel comfortable, fitting in seamlessly and professionally and taking really breathtaking photographs. We've been told by everyone that our photos appear to be straight out of a magazine! She and her assistant came at the perfect time, and were so organized you don't have to think about anything! 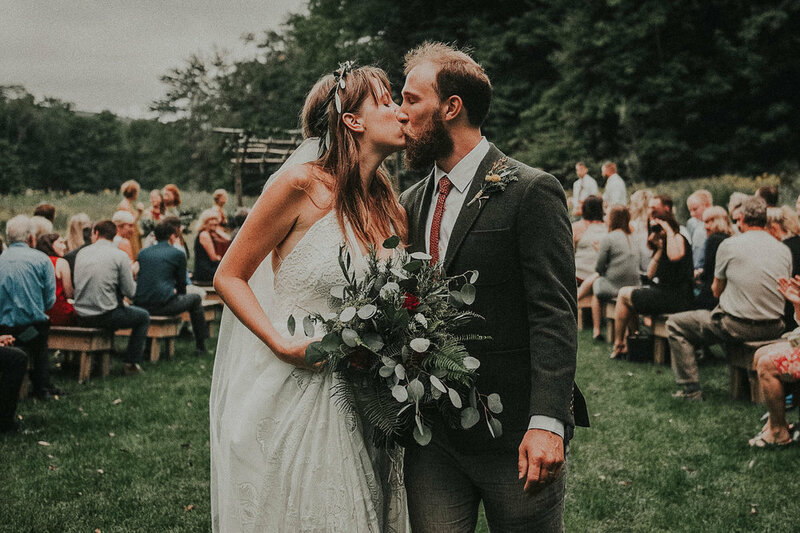 Photos are a crucial part of any wedding because its what you look back on to remember the day, and I feel like we have works of art instead of just an album. I highly recommend using her services to ensure that you have the best photographs possible, she is a truly talented photographer and she will make sure you have all those family combination shots everyone wants! When my husband and I were looking for a photographer for our wedding we were looking for someone with a consistent catalogue and a great eye for getting a magical "fairy tale" feel to their photos. Sadie has both those things! 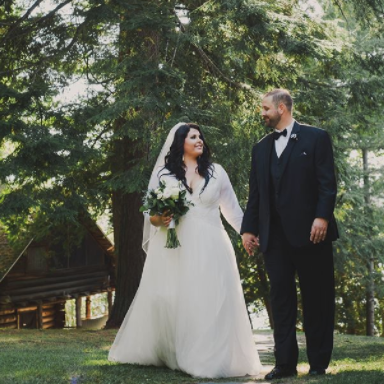 Her photos have an ethereal and majestic quality to them and she was able to capture beautiful, candid moments from everyone on the wedding day. She was super professional and so relaxed that it made the day stress-free and fun for the entire bridal party (especially my husband and I who were afraid of looking too stiff in photos - not the case!). She kept things moving and organized while still being the sweetest person ever. I can't recommend Sadie enough, and I can't wait to get some anniversary photos and family photos from her in the future!